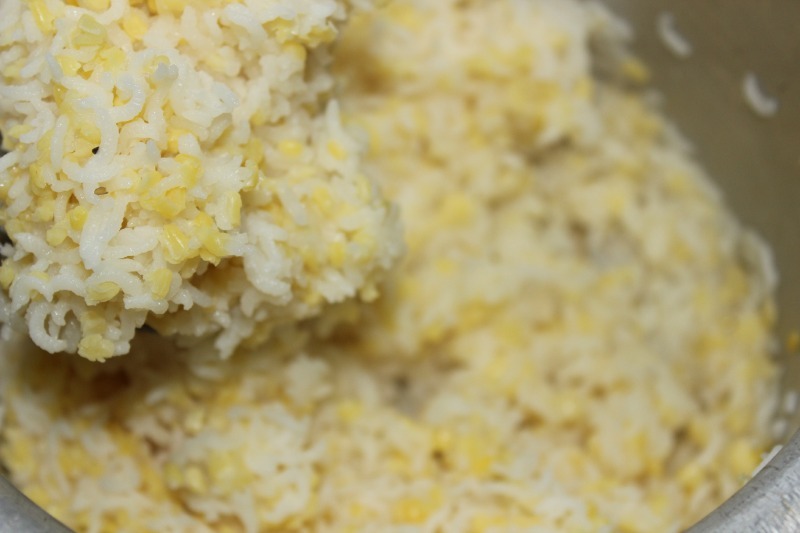 Kalkandu rice is prepared the same way how we make Sakarai pongal,here we use rock sugar candy(kalkandu) instead of jaggery.It is a traditional sweet recipe prepared in most of the houses during special occasions and also offered in temples as prasadam. Soak raw rice and moong dal in water for half an hour,Drain the water and keep it aside.In a cooker add 1 1/2 cups of water + 2 cups of milk and bring to boil.Now add the rice,moong dal and pressure cook for 3 whistles in high flame and after that cook on low flame for 8 mins. 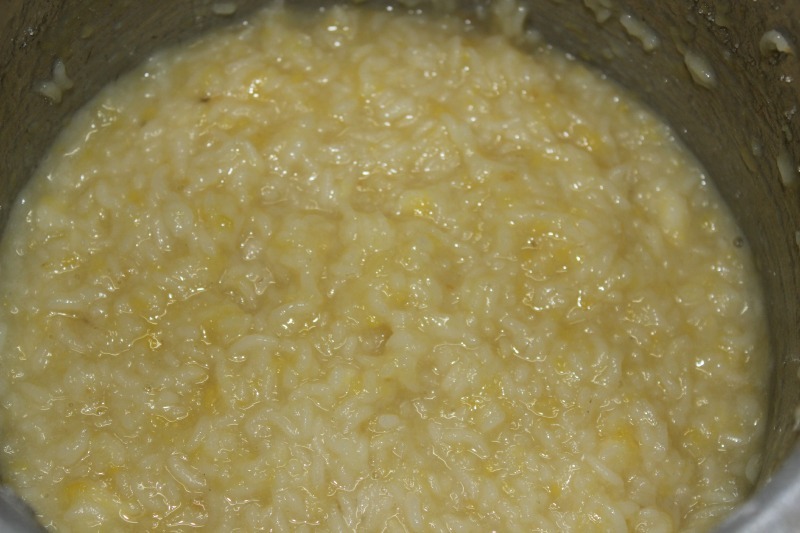 Open the cooker when the pressure is completely released.The rice must be mushy and cooked well. 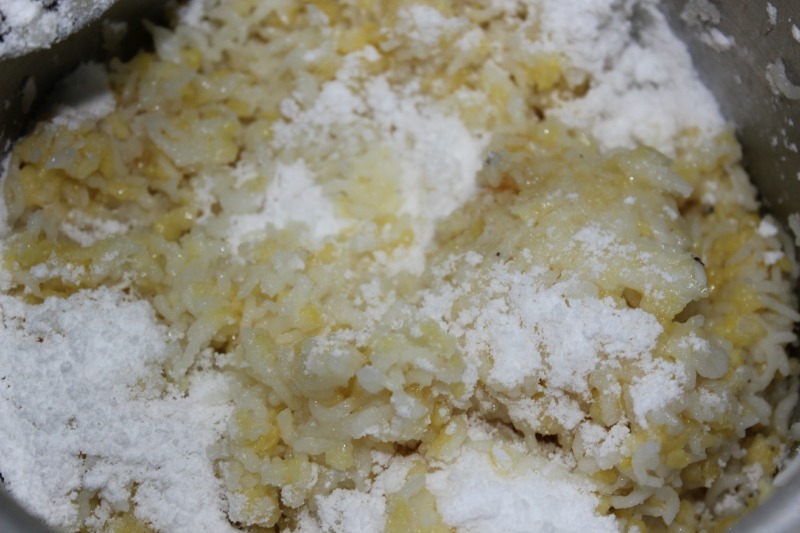 Powder the sugar candy in a mixer and add to the cooked rice. 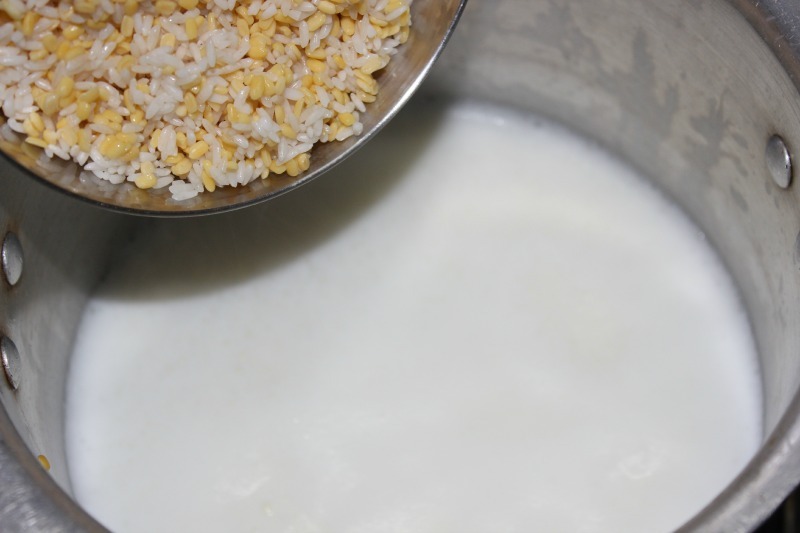 Add the half cup of milk which we kept separately to the cooked rice.Cook the rice with powdered sugar candy and milk in low flame without a lid. 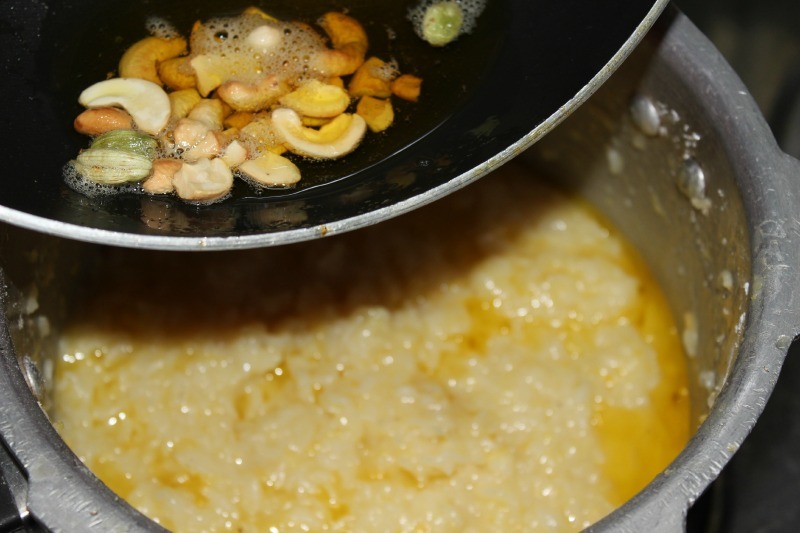 Roast the cashews and cardamoms in ghee and add it to the rice. 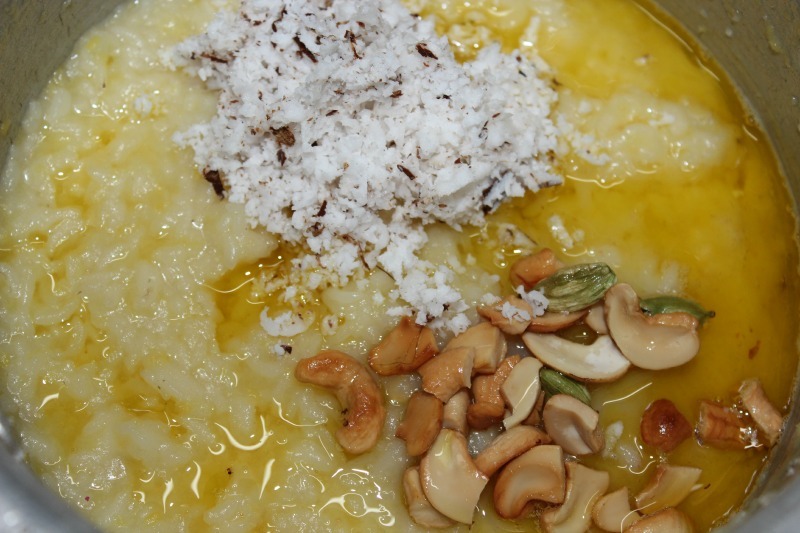 Add the grated coconut as well and cook in low flame for 10 mins totally to let the rice blend well. Kalkandu rice is ready to serve now,Serve them hot. Moong dal with milk tastes good only for sweets but not for spicy,salty foods….. 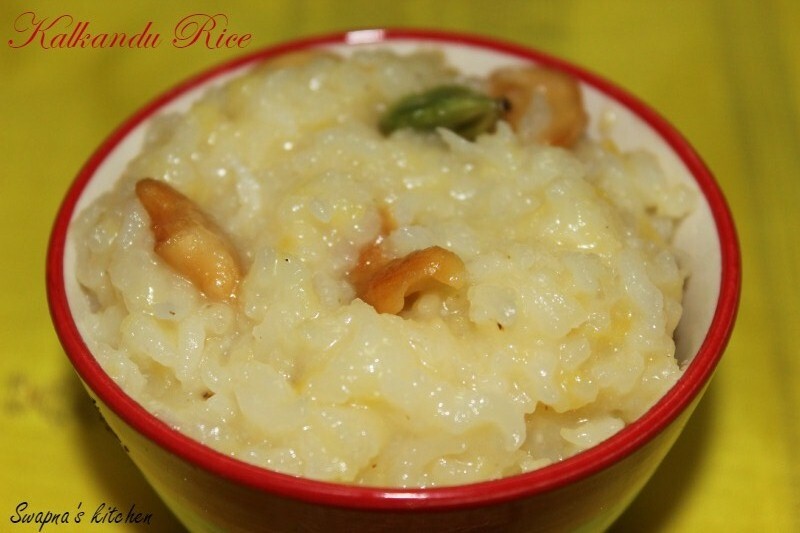 I like this Kalkandu rice, but only one or two spoons… It becomes too sweet for my tongue! !